When is say this will make you a LOVER of fish, I AM NOT KIDDING! I am not a fan of fish or seafood of any kind and this dish is nothing short of delicious!. My hubby has a passion for cooking and he hit it out of the park with this dish! This Smothered Fish recipe will have you wanting more AND making sure that it’s on your menu all the time! Don’t worry, the kids love it too! Since our kids are not huge fans of fish either, we use Swai fillets. They are very mild and don’t have a “fishy” taste. It’s the perfect starter fish! 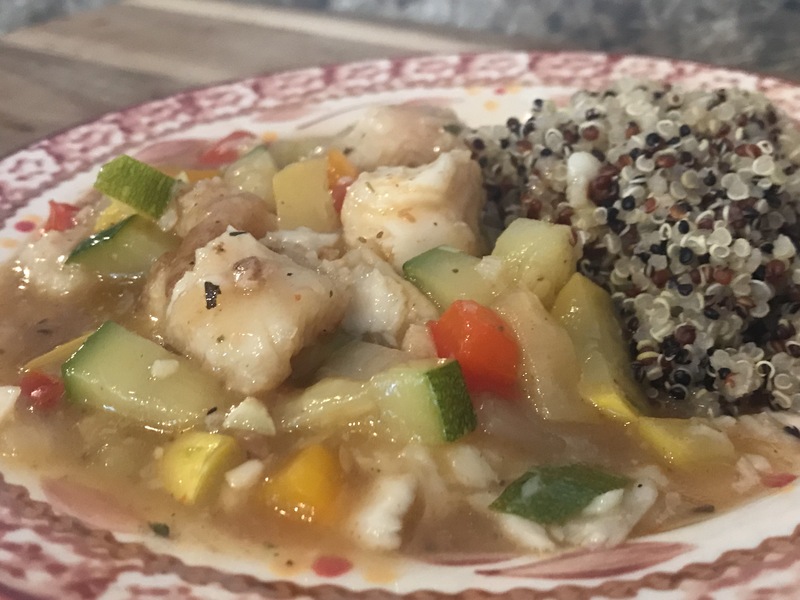 Here’s how you can make your own Smothered Fish! 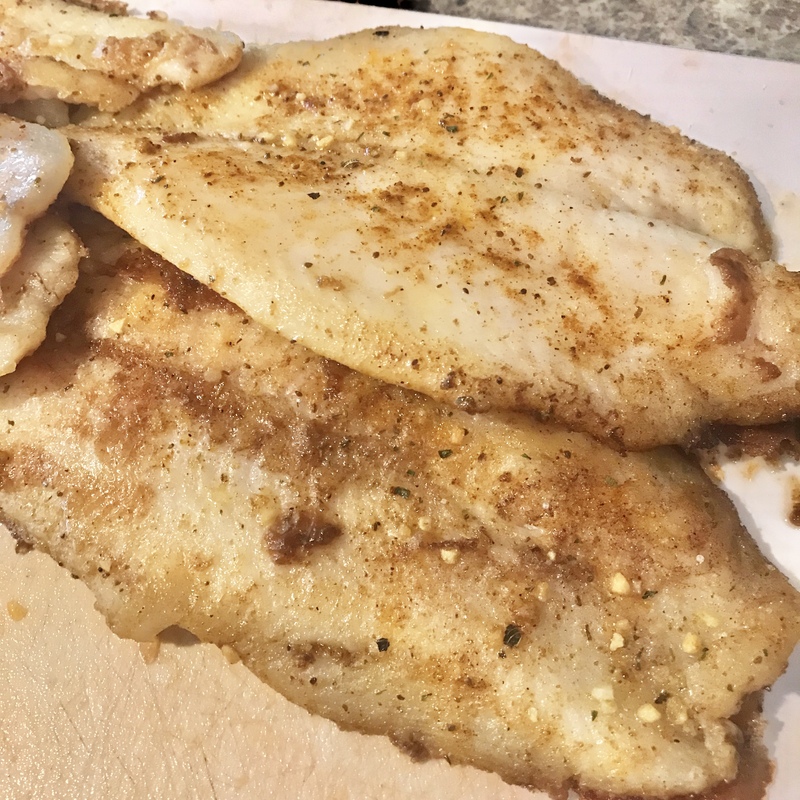 Fry your fillets in a little bit of oil and butter and season with some Old Bay Seasoning. Be warned – if you use too much Old Bay, it will make the dish spicy! Remove your fish to cool and saute some red and yellow peppers, onions and garlic until the onions are translucent. 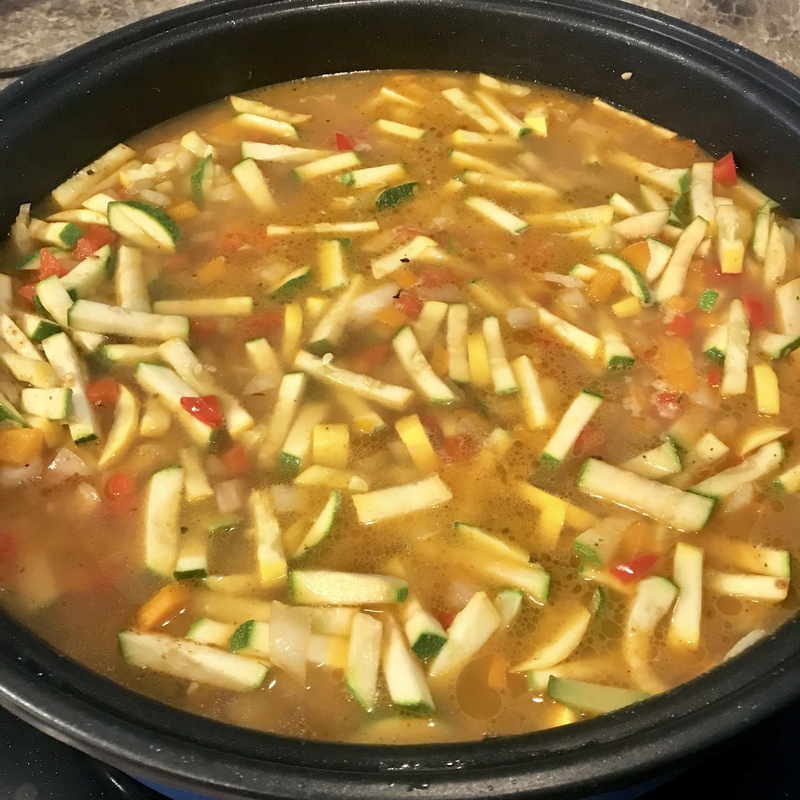 Slice up a zucchini and a yellow squash and add it to the veggie mixture with 2-3 cups of chicken stock. Add salt and pepper to taste. Dice your fish and add it back the soup base. To thicken the sauce a little you can add some cornstarch to it. 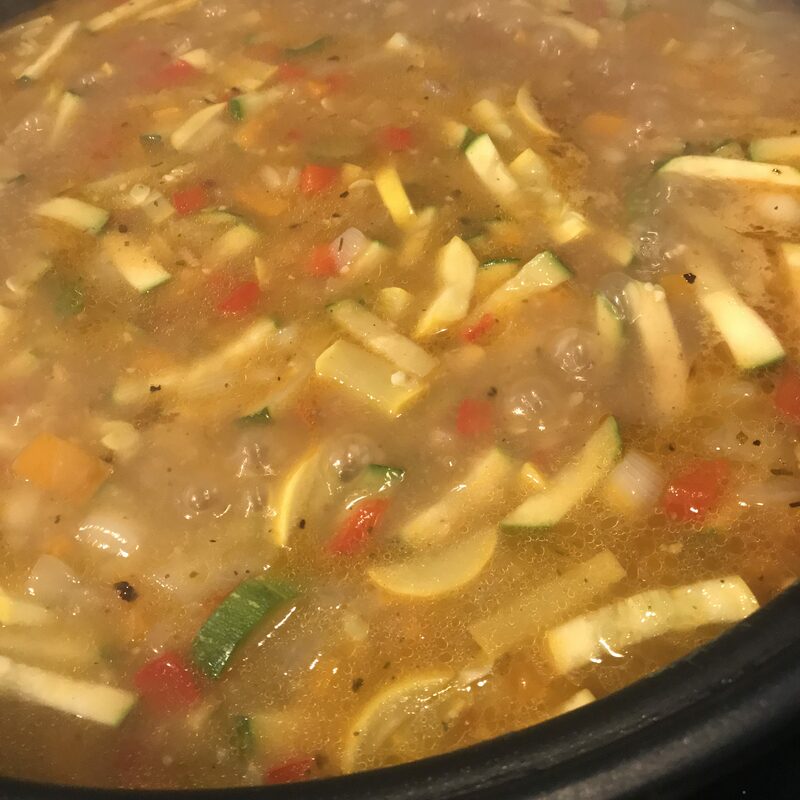 Simmer over low heat for 3-4 minutes. While this is simmering, cook your Quinoa or regular rice! 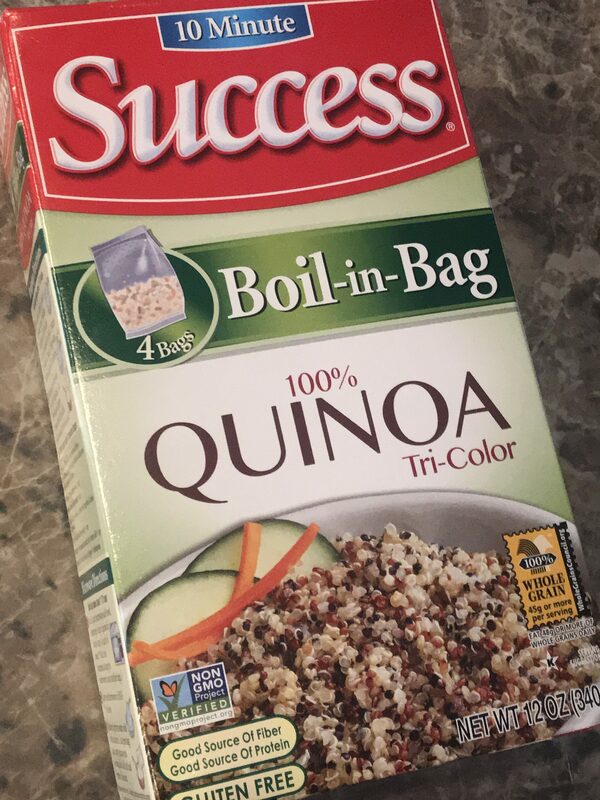 This tri-color Quinoa from Success was amazing with it! Serve over or beside quinoa or rice and ENJOY! Just look at that deliciousness! 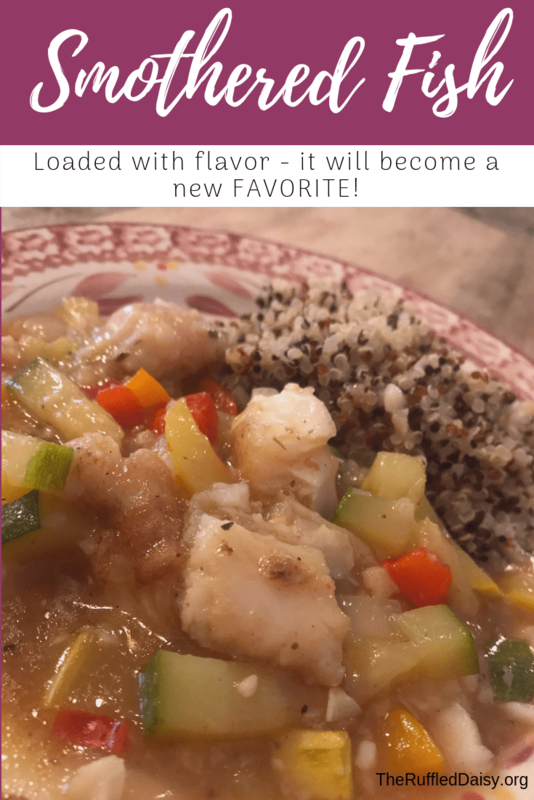 This Smothered Fish is FULL of flavor and is healthy for you! 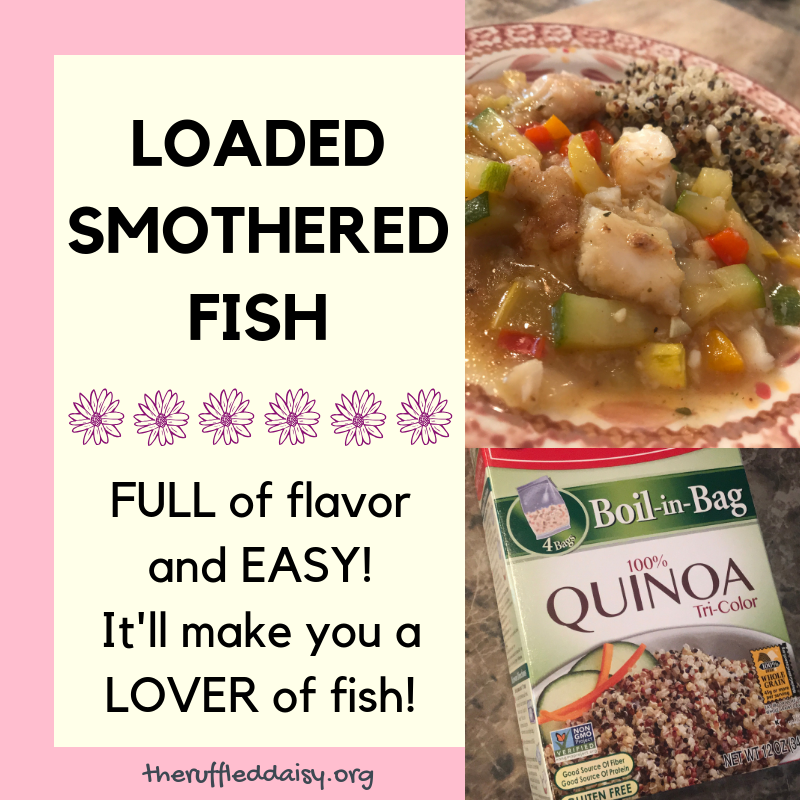 If your kiddos aren’t fans of fish, I challenge you to give this dish a try and let me know how it turns out! You won’t be disappointed. I am now a LOVER of “most” fish! And that makes my hubby so very happy! He’s still trying to work on my sushi palate but I don’t think that will ever change. He can go on sushi dates with our youngest. 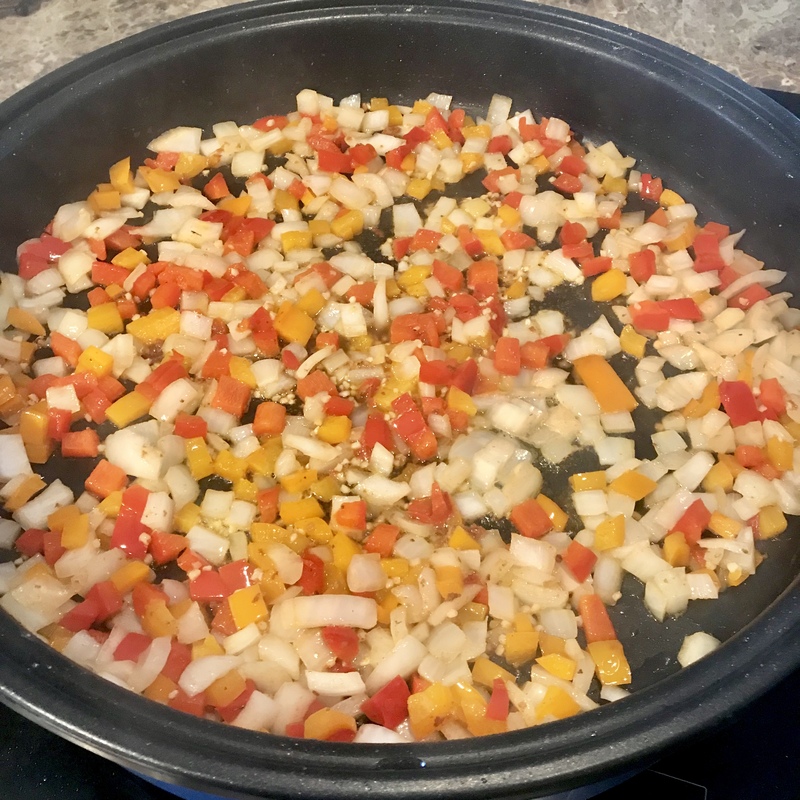 Did you like this Smothered Fish recipe? I’d love for you to share it with your friends on social media and PIN it so you have it for later! If you like what you see on this page, I’d love for you to join my mailing list HERE! When you join, I’ll send you a my FREE Home Decor Holiday Printables that you can immediately download. Just my way of saying “thank you” and encouraging you to live your best life! !